One of the first things I do for my clients is to listen. Listening to her clients’ needs is the only way to understand the results they hope to achieve. Alaina works diligently and efficiently to provide her clients with effective, professional representation. Alaina ensures that her clients are aware of the legal and financial implications of their choices: the transactions they have contemplated and the relationships they have entered into or aspire to change. Alaina Spec is a member of the Business Law Group and is the Chair of the Estates and Succession Practice Group. Her practice areas include a broad range of corporate and commercial matters, including incorporations, corporate re-organizations, and professional corporations. She also practices extensively in estate planning and estate administration services. Alaina’s clients appreciate her broad base of experience and her familiarity with business and personal realities, which allow her to deliver timely, quality representation in the areas they require. 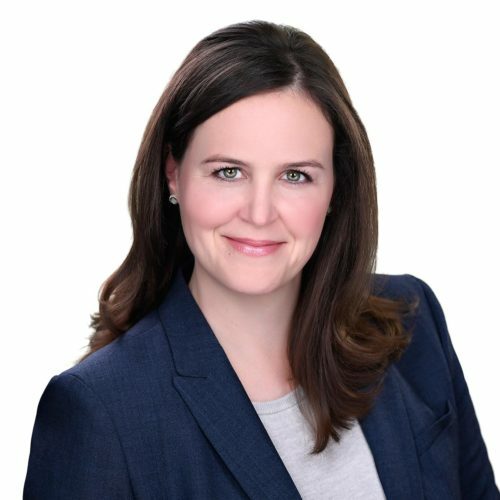 Alaina is a member of the Law Society of Upper Canada, the County of Carleton Law Association, the Canadian Bar Association, the Ontario Bar Association, the Ottawa Estate Planning Council, the Canadian Tax Foundation, and the Society of Trust and Estate Practitioners (Canada). She has spoken at the CCLA’s Solicitor’s Conference since 2008, and has been a member of the planning committee since 2014. Alaina enjoys all different types of sports from skydiving, white water rafting, scuba diving, to rock climbing. Once she got lost on a mountain in Wales while hiking!